Recently, Argentina coach Gerardo Martino has admitted his surplus of attacking players is causing him a selection headache. The former Barcelona coach said he has too many players hoping to occupy similar spots to Lionel Messi and would rather have such talent spread throughout the team. All three players are enjoying impressive seasons with their clubs as Manchester City’s Aguero (14) and Tevez (ten) of Juventus are top scorers in the English and Italian top flights respectively. Higuain has been in good goal-scoring form too for Napoli, finding the net seven times. The two biggies in the world of soccer got launched on all major platforms.Now, the competition between them both continues to brew as usual, which one do you like best? Whatever, did you notice that in some core areas, PES 2015 has always managed to beat FIFA 15 in its own game? While Electronic Arts being a big company has all the support that it could muster with licensed teams, jerseys, player kits and more, Konami’s own game shines in other areas, which most ardent football lovers wouldn’t wish to miss. Here are three reasons why you can’t miss this amazing game. The level of ball control offered by PES 2015 is completely different, when compared to the FIFA 15 title, because it has never focused on the gameplay aspects; but it rather focuses on presentation, style and some amazing advertisements. But, when it comes to ruling the pitch, you wouldn’t find a better option than this one. The ball simply stays in your control and with any controller of your choice, you would be able to score a goal that is hugely satisfying than being an arcade style title with no strong focus. The fox engine has seriously boosted the visuals in the game and it never looks like FIFA 15, which is why it manages to stand unique at all times. The player faces are hard and don’t look like polished mesh, which adds more realism to the game. Besides, the crowd is now much more reactive than they have ever been and the game also prompts higher level of simulation than ever before. PES 2015 lost its focus in the past few games but with the help of Fox engine they have jumped back to what they do best and it helps them deliver the best possible football experience on a virtual platform. Some leagues are now unique to PES 2015 and matches like UEFA are best enjoyed in the Konami game. Even though, they don’t have the ultimate team or amazing online multiplayer options, the game definitely compensates them all with its unique cups, matches and player jerseys that look much better in the new engine. Konami has once again done what they do best and with the 2015 edition of the game they have improvised the game to great levels. If you like to find yourself immersed in the pitch with great controls, player reactions and gameplay tactics, this should be your pick. There was a kind of cards mainly comes from the domestic cup finals and European champions. In the match, the beast players will be picked up. Generally speaking, it is only 24 hours since the release of the card. You can obtain the card through the card opening within 24 hours. Compared with TOTW cards, these kinds of cards are fewer and the collective value is higher. This time, there are two members involved into the MOTM. They are Higuain and Sergio Ramos. The following is their lowest and highest prices on the three platforms of PC/PS/XBOX. Now their price is not so stable SO it is not the best time to buy these two players. Furthermore, with the increase of the card numbers, the prices will decrease accordingly. 2. 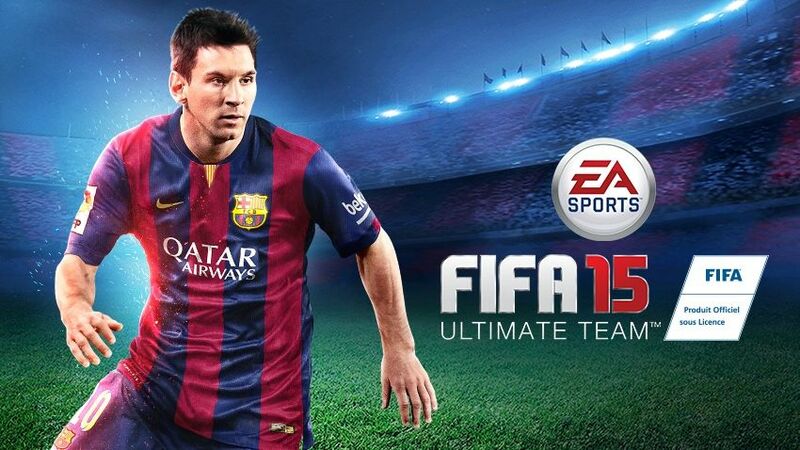 Through Gold Packs, buy FIFA 15 coins on utfifa15coins will be more cost-effective than consuming FIFA points. You need to speed 7500 FIFA 15 coins or 150 points when opening Gold Packs for once. Purchasing 750 FIFA points will cost 6.99 USD. But you can open 750/150=5 times. In utfifa15coins, you only need to consume 7 USD and you can use 233K FIFA 15 coins on PS (PS: 250k =7.49 USD) 233K/7500=30 times. Now we are holding activity now. The following is the activity details: Christmas Offer FIFA 15 Coins are up to 10% OFF. Without FIFA 15 coins you can’t build a good squad.And trading is the best way to get rich on FIFA 15 Ultimate Team. Then,which factors has the most important influence on trading?As we’re going to see there are many factors which may contribute for price variation, but few or none are as effective as Happy Hours. They hit the market’s balance by disrupting the natural relation between supply and demand. Thousands of players will buy packs, increasing not only the coin circulation but also the card circulation on the market. The effect of this alteration is about an immediate price fall. Prices will be maintained low while the Happy Hour is going on and as it ends the market quickly absorbs the additional cards, making their prices go back to what they were before. Or almost. Actually, the prices are affected during and after the Happy Hour. This variation between the price that was supposed to be if a Happy Hour never happened and the price that effectively shows up after one normally goes from 3 to 5% of the card’s value. As the years go by, EA does more and more Happy Hours. At this point people only get interested in 35k, 50k and 100k Happy Hour packs. The bigger the packs, the more prices will fall. Let’s take a look at a practical case in order to realise what happens. Let’s get Koscielny as an example (it could be any other player), during the second and third weeks of November, period while seven different Happy Hours happened as you can see here. Such frequency of pack openings justifies why his price on the 20th was a lot lower than what it was on 7th of November. The most significant price decreases are noticed on 9/10 and 16/17, precisely when the 35k and 50k Happy Hour packs are released. The others were 25k and 15k Happy Hour packs. Notice how after the Happy Hours end the price is inferior to what it would be if a Happy Hour never happened while the natural tendency for it would be to stay the same. If on this image everything seems quite obvious to you, imagine 100 different ones, that’s what we did. Happy Hours aren’t announced with antecedence for what the market can’t really react with such. The 2022 Qatar World Cup will come in the near future,FIFA hope to finalise the dates for the Qatar World Cup in March, ending a debate over the Gulf state’s searing summer heat which has dogged the tournament as much as allegations of corruption. The game’s world governing body will first hear the results on February 23 of a report by a working group set up to examine when to hold the four-week showpiece. A decision should then be made in March at FIFA’s next executive committee meeting. Both FIFA president Sepp Blatter and his UEFA counterpart Michel Platini are in favor of a winter World Cup in Qatar to avoid the blistering summer heat where temperatures rocket into the high 40-degree territory. However, there have been fears of a clash with the 2022 Winter Olympics, while European football leagues have expressed reservations over a tournament being held in the middle of the domestic club season. Last Tuesday, the Association of European Clubs and European Professional Football Leagues (EPFL) suggested the World Cup be played from May 4-June 5 in 2022. Two other options being examined are January-February 2022 or November-December 2022. Meanwhile, FIFA decided on Friday that the opening match of the 2018 World Cup in Russia will take place on June 18 with the final scheduled for Sunday, July 15. Legendary musician Paul McCartney of Beatles fame appeared on Comedy Central’s The Daily Show last night to talk about, among other things, “Hope for the Future,” his song for Bungie’s FPS Destiny. During the course of his funny back-and-forth with Jon Stewart, McCartney talks about how he got involved with the project and reveals that he’s not very good at video games. “Hope for the Future” plays during the Destiny end-credits, and was recently made into a music video wherein McCartney appears in holographic form. McCartney also worked alongside now-former Bungie composer Marty O’Donnell on the score for Destiny. Destiny-Store.com is just this kind of store, which provide Destiny Power leveling product to make you upgrade lv32 fast and easily. You can buy “Hope for the Future” as a single right now. Destiny Suffered Little Trouble, The Players Were Locked PS4. Destiny recently run into some minor trouble, According to complaints on Reddit. Some Destiny players are finding themselves locked out of their game after purchasing downloadable content The Dark Below. According to several players, the entire game is blocked off post-purchase on PlayStation 4 by a countdown timer ticking off to the DLC’s release. User RamiBlack uploaded the following image of the timer. Other users suggest that the problem may only be present for those with digital copies of the game. Some users have been able to correct this problem by uninstalling Destiny, downloading and reinstalling the game. We’ve reached out to Bungie and Sony will update accordingly. PlayStation 3 and PS4 Destiny players are expected to receive exclusive, extra content with The Dark Below, including an extra strike mission. Bungie to create FPS masterpiece “Destin” No matter how word of mouth, attention is definitely the number one, even the theme song have invited the famous Beatle Paul McCartney personally speak knife, and it’s free! Now this theme song “Hope for the Future” has been officially announced, the next one up and enjoy it! Sir James Paul McCartney,MBE (born 18 June 1942), is an English singer, multi-instrumentalist, and composer. With John Lennon, George Harrison and Ringo Starr, he gained worldwide fame as a member of the Beatles, one of the most popular and influential acts in the history of rock music; his songwriting partnership with Lennon is one of the most celebrated of the 20th century. After the band’s break-up, he pursued a solo career and later formed Wings with his first wife, Linda, and Denny Laine. McCartney has been recognised as one of the most successful composers and performers of all time, with 60 gold discs and sales of over 100 million albums and 100 million singles of his work with the Beatles and as a solo artist. More than 2,200 artists have covered his Beatles song “Yesterday”, more than any other copyrighted song in history. Wings’ 1977 release “Mull of Kintyre” is one of the all-time best-selling singles in the UK. Inducted into the Rock and Roll Hall of Fame as a solo artist in March 1999, McCartney has written, or co-written 32 songs that have reached number one on the Billboard Hot 100, and as of 2014 he has sold more than 15.5 million RIAA-certified units in the United States. McCartney, Lennon, Harrison and Starr received MBEs in 1965, and in 1997, McCartney was knighted for his services to music. Do You Know How To Perform the Skill Moves In FIFA 15? FIFA 15 Star Skill Moves measures the ability that a player has to perform technical moves. To all skill moves are assigned a number between 1 (least complex) and 5 (most complex). The players with higher skills, as Ronaldo or Neymar, are able to perform more complex moves. If you often use these moves to confuse the opponents, you should pay attention to this attribute. Otherwise, you will not be able to perform all the skills that you want. Our suggestion is that you should learn how to perform two of these skill moves. If possible, 5 star skill moves. It will be very important to you because it may be the difference between winning or losing a match. Recently, EA Sports has released a new patch for FIFA 15 on all platforms.The patch notes were outlined in an official forum post. The update is now live on PC, PS4 and Xbox One. Have a look at the patch notes.